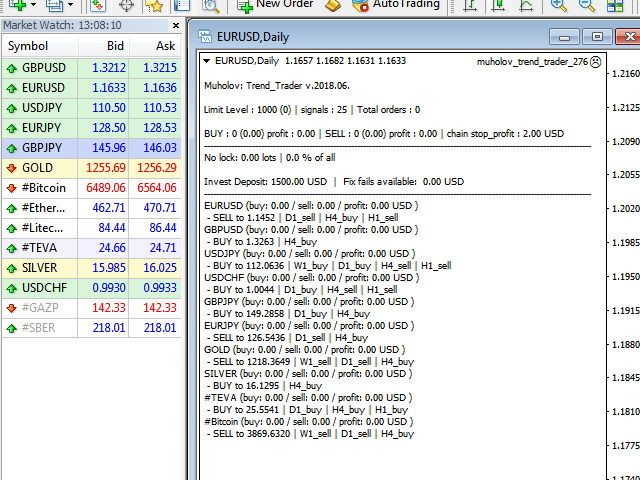 Analyzes and trades up to 300 trading instruments simultaneously. 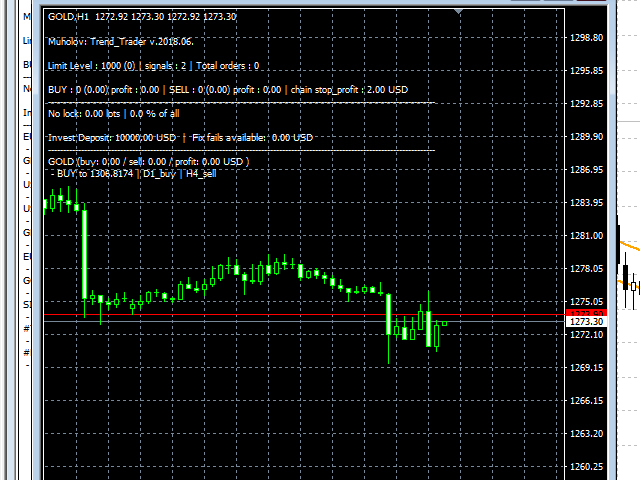 4 timeframes are taken for analysis: W1, D1, H4, H1. The main trend is determined by the highest selected timeframe (W1, D1, H4 - selected by a trader in the settings). Transactions open with a signal on H1. Closing orders takes place by take profit or by chains, when the specified profit of the chain is reached (specified in the settings). stop_profit - profit in account currency (kopecks or cents) to close a series of orders (200 = $2 or 2 rubles). 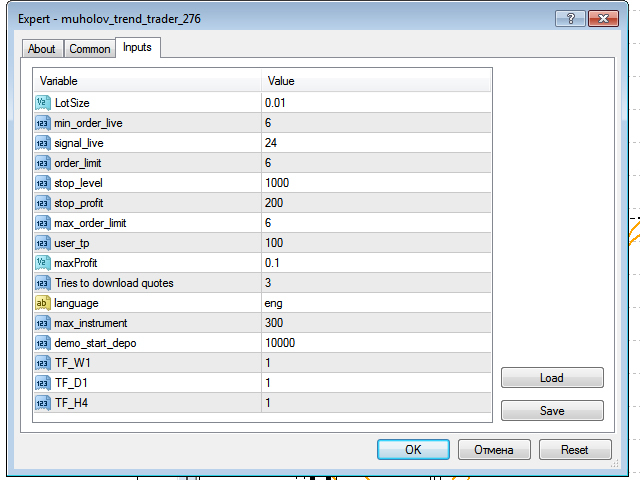 TF_W1, TF_D1, TF_H4 - which timeframes should be used when selecting the main timeframe (W1, D1, H4).